Keep checking the progress of our 20ft trailer bar, now in our workshop and getting a total revamp ready for our many outdoor summer festivals!!!!!! 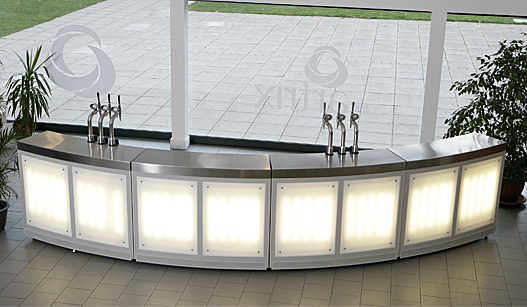 Our state of the art mobile bar facilities offer the best possible bar hire solution for every occassion. Constructed from high quality stainless steel with built in lighting or mobile bars will give a brilliant effect for your event. Leave everything to us we will supply and fully fit our stunning mobile bars with all dispense equipment fully stocked with your choice of brands. All glass wear, uniformed staff, ice, insurance and licence, absolutely everything you need to make your event truly memorable. For your summer event why not book our PIMMS reception tent and give your visitors a real treat. We will deliver and fully fit our mobile bars for you to use with insurance and even supply you with the beer at a very competitive price and professional staff. 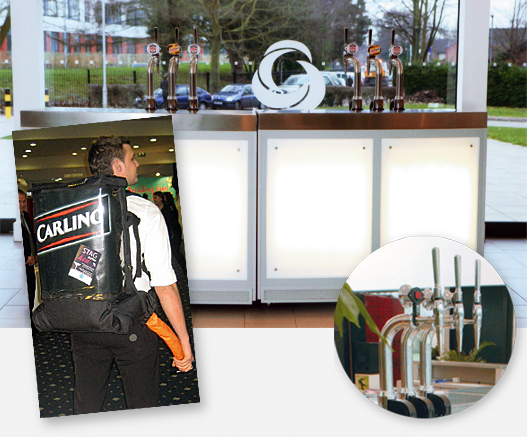 We are very flexible and appreciate no two events are ever the same, so contact us today with your mobile bar hire or draught backpack requirements to see if we can meet and exceed your expectations.